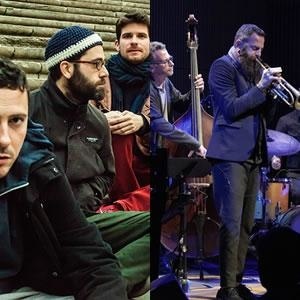 The Jazz Festival offers this project that brings together one of the most interesting groups in the jazz scene and the Municipal Band of Vitoria-Gasteiz. The trio, formed by Marco Mezquida (piano) from Menorca, Ernesto Aurignac (sax) from Malaga and Ramón Prats (drums) from Girona, masters a language that covers the most diverse musical styles, combining composition and improvisation. Thus, the challenge lies in orchestrating their creativity in scores that will travel from the symphonic to Big Band, from the orchestral ensemble to the popular band. Pianist, Danilo Perez, one of the most influential musicians today, award-winning saxophonist, Chris Potter, and trumpeter, Avishai Cohen, came together in 2017 on the Jazz 100 tour to commemorate the centenaries of Dizzy Gillespie, Ella Fitzgerald and Thelonious Monk. The chemistry between them was very rewarding both for the musicians and for the fans, so they have decided to get back together, with new compositions for this project, this time accompanied by the bass of Larry Grenadier and the drums of Jonathan Blake. A star-studded line-up that reflects the great vitality of today’s jazz scene.